It’s time to talk about the best quadrocopters that exist now, at the turn of the beginning of 2018. Do not expect big surprises, “old men” from 2017 do not give up their positions. Last year, the drone industry grew slightly and will continue to grow in the coming years. 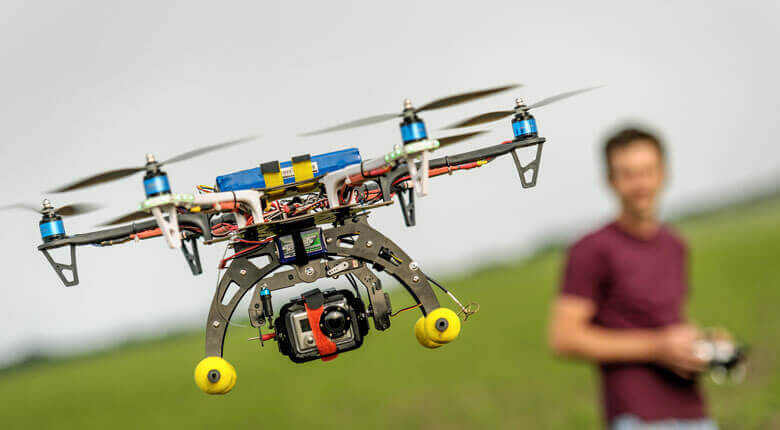 We are seeing the rise in popularity of industrially manufactured drones, and there is every reason to believe that they will be increasingly used in various areas of life. We hope that the Quadcopters Review will help you in choosing the right device. WHAT WILL STAND OUT THE NEW MODELS OF QUADCOPTERS? These arguments are not very interesting, are they? Therefore, we finish with the prelude and present our top. No one is going to offer you a long list of models that fly victoriously in this period. We have a different approach. Below you will see six categories: each of them are drones of a certain type. Immediately talk about the leaders. Needless to say, both of them are from DJI, the past year was very successful for the Chinese giant. Significantly improving its OcuSync technology and not afraid to turn to compact forms, DJI has strengthened its position in the UAV market. The results are best embodied in the Mavic Pro and Phantom 4 Pro Plus quadrocopters. This is rightfully the leaders of 2018. The best drones manufactured by the company DJI. How is it possible to be a leader for the fourth year in a row? In General, it is not surprising when you consider that DJI year after year uses the latest technology in its products. The Mavic Pro model is no exception. It has all the advantages of full-size copters that fit in an incredibly compact unit, making it the best drone of 2018. Camera and features. Immediately make it clear: in DJI Mavic Pro everything is great, starting with the camera and ending with stunning specifications. What can you say about the camera? You need to start with the fact that it shoots 4K video at 30 frames per second. There’s more. The camera is equipped with a full three-axis stabilizer. The device shoots perfectly, the picture is perfectly stabilized, and it is extremely easy to control the camera. We have already said that this electronic bird is capable of many things, it can be considered one of the best. 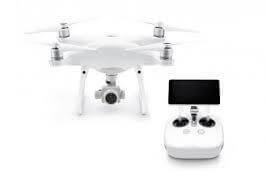 In General, there are all the gadgets based on GPS, typical for drones phantom series. Yes, Mavic Pro flies around obstacles and can be controlled by gestures. And it’s collapsible. Specification. It has long been known that DJI produces only high-quality devices. Basically, this is reflected in the specs that leave all the competitors far behind. The Mavic Pro quadcopter can be removed from the control panel for seven kilometers. What is important, the battery holds a charge for a long time. Thanks to the LiPo battery the bird flies up to 27 minutes. And now get ready to experience the real admiration, as it will be about DJI Phantom 4 Pro Plus. You probably know that the standard version differs from the Plus version in only one, and we will definitely talk about it. In addition, we will describe in detail the specifications of this model, its camera and features. Camera and features. The standard version differs from the Plus version in only one, and it’s a tablet. Yes, tablet. Model DJI Phantom 4 Pro Plus comes with a built-in tablet on the Android platform. It has a breathtakingly bright 5.5-inch display with FHD resolution (1000 CD/m2). Everything else is standard. The camera is great too: a 20-megapixel 1-inch sensor with a mechanical shutter. There is a built-in three-axis stabilizer, shoots 4K video (60 frames per second), plus there are many “smart” and offline options. Now you have an idea how cool this thing is. Five sensors to fly around obstacles to save the copter from collisions. Specification. Now we come to the technical side of the issue. 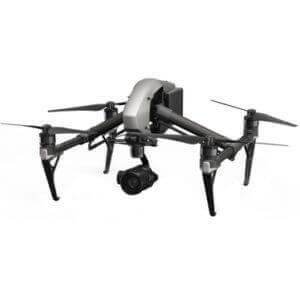 This model, like Mavic Pro and Inspire 2, supports the OcuSync transfer Protocol. It’s really great. It is thanks to this technology that the drone flies seven kilometers. The battery is also good, it will last for 27 minutes. 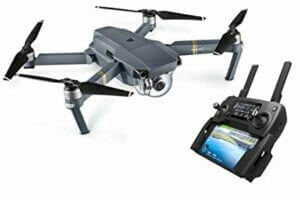 Although DJI Mavic Pro and DJI Phantom 4 Pro Plus perform their functions perfectly, let’s face it… Most of the best drones are expensive for the average buyer. If you can not afford to spend a lot of money, but want to have a decent UAV, you fit MJX Bugs 2W. This is definitely one of the best budget options. This miniature drone looks very presentable. It has a durable plastic case and an aggressive “under the beetle”design. It is Packed with numerous gadgets, but more on them later. To begin with, we repeat that Bugs 2W-the best drone in terms of price/quality ratio. For a small amount you get a really “smart” device. Camera and features. Support for GPS and GLONASS navigation systems provides an impressive set of options. Impressive, at least for the money. MJX Bugs 2W has 3 modes of protection against system failures (fail safe mode): protection against denial of GPS, protection against failure, without GPS, and even “smart” protection against failure, which allows you to control the copter when he returns home for a forced landing. In addition, MJX Bugs 2W is equipped with automatic detection mode “back” and “front” (headless mode), altitude hold mode (altitude hold) and control mode via WiFi Protocol (WiFi FPV). Have everything to control the quadcopter with pleasure. The copter has a decent camera, at least a new one. No stabilization, but does in flight, relatively high-quality video. This is a Full HD video, and the wide-angle lens is especially good for panoramic views captured from a small height. Specification. Flies high enough. Up to 500 meters, but not higher. Why? Although the MJX Bugs 2W can fly further than 500 meters from its host (kilometer maximum), its SOFTWARE is designed to a height of 500 meters for safety reasons. And finally, in this imp is 2s LiPo battery (1800 mAh), which is enough for 18 minutes. It’s the best you can get for 300 bucks. For users who have experience in controlling a toy drone, and want to try something more serious, we present two wonderful models. They are very different and are designed for two types of UAV lovers. If Parrot is aimed at those who want to occasionally take selfies and videos using a compact quadcopter, the company Autel Robotics works for those who want to try professional aerial photography. Let’s take a closer look at these drones and see what and how. Who is the leader in the middle segment? We are glad to inform you that Bebop 2 is one of the most successful drones ever produced by Parrot laboratories. It is logical that the company offers it in several configurations. We’ll talk about Parrot Bebop 2 Adventurer, which does not have a lot of accessories. What is included in this fairly good and relatively cheap set? Camera and features. The user gets himself a quadrocopter and a number of additions. The most important of them is the Sky Controller 2 controller, which allows not only to control the device, but also provides some useful specifications (first of all, flight range). The kit also includes virtual reality glasses Cockpitglasses. They are useful because a specialized application supports virtual reality. Plus, you get a small neat backpack, which all fits. Specifications. In terms of specifications, Parrot Bebop 2 Adventurer is significantly better than other models in its segment. Thanks to the Sky Controller significantly increases the range. Without the controller Parrot Bebop 2 turns into a simple drone for selfies with a range of 100 meters. With the controller, the quadcopter becomes much more powerful and can fly two kilometers. Battery life is as important as the flight range. Here it IS 3s LiPo (2700 mAh), according to the instructions it should be enough for about 22 minutes. In reality, it is enough for 20-25, depending on the operating conditions. Now describe in more detail about the best models from the company Autel Robotics. 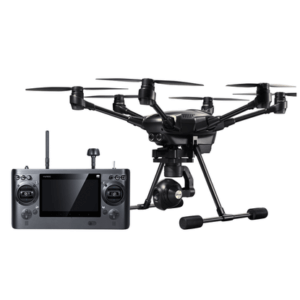 In addition to the x-Star quadcopter, we get additional things to operate the drone to the full. This option is more expensive than the previous one, but it’s worth it. Camera and features. 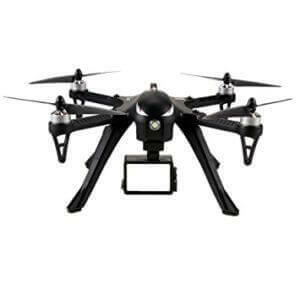 The best thing about this really good camera is that it is capable of producing high quality aerial photography. All this thanks to the anti-vibration mount and three-axis image stabilizer. Not the last role is played by the magnificent image sensor. If this is not enough to opt for this model, pay attention to the available options. Let’s start with the fact that Autel Robotics X-Star Premium transmits HD video to the host in real time even at the maximum distance. 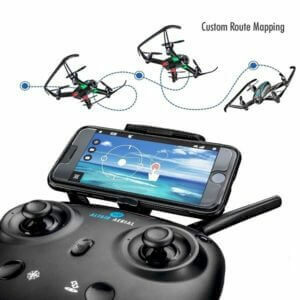 Moreover, it is one of the most reliable copters with support for GPS and GLONASS navigation systems, as well as protection against magnetic interference. There is a system failure protection (failsafe) and an extensive set of options for “smart” flight. Specifications. In this regard, there is nothing to worry about. This rather big quadcopter makes a good impression. The battery lasts for 25 minutes of flight, which is almost comparable to the latest flagships from DJI. Transmission of images to the operator is impressive, no problems from a distance of two kilometers. So as Autel Robotics X-Star Premium there is no doubt that puts the model on a par with the best drones 2018. Beginners are a very important group of potential buyers when it comes to new gadgets. That’s why manufacturers are always trying to create the cheapest and easiest to manage copters in all price segments. Now you can run the UAV for the first time in my life and perfectly cope with everything thanks to the autopilot mode and intuitive user interface. Beginners better start with cheap models like these two. Sometimes seems like it’s easy, but finding a good quadcopter for little money is a difficult task. 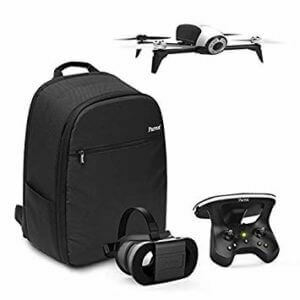 Drone can be a great gift for a birthday or New year. If you buy a gift and not really understand the topic, a person can be upset. Fortunately, there are a few budget models that will fit exactly. U818 Plus from UDI is a perfect example of a high-quality budget model. Camera and features. The drone is equipped with a wide-angle HD camera (2 megapixels) with a 4 GB TF card. Altitude hold mode (Altitude hold) ensures the stability of the machine during the flight. As a result, clear videos and photos are obtained from different perspectives. U818 Plus also has an automatic detection mode “back” and “front” (headless mode), takeoff and landing is carried out with one button, so nothing complicated. The option “specified flight route” (Custom flight route) allows you to control the device with one tap on the screen. Unfortunately, UDI U818Plus does not support GPS navigation system, so all these options do not always work perfectly. That doesn’t mean they don’t work at all, just not very accurate compared to models with GPS. Specifications. However, it is a great choice for a beginner or a child. UDI U818Plus distinguishes the battery life. The device will stay in the air for up to 15 minutes without recharging. 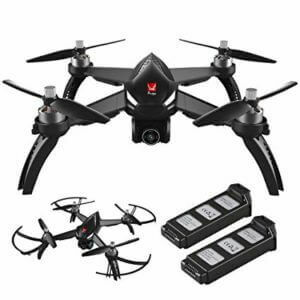 This is difficult to find in the copters of this price range, and the rest of the drone is very good. This easy-to-operate machine is a great tracker. It is able to fly 150 meters, which is a lot for a budget drone. Although the MJX Bugs 3 is quite an old model, it has its own charm that helps the quadcopter hold its position in the market. Novice Amateur recap, he really like it, as it was for him. The camera will have to buy separately, it has a mount. Camera and features. Fit different types of action cameras. Usually it is GoPro, SJCAM, Xiaomi and other popular brands. Mounting capabilities in terms of anti-vibration is very modest, but, in General, MJX Bugs 3 in flight is stable, so that the picture is not much affected by the “jelly effect” or shaking. 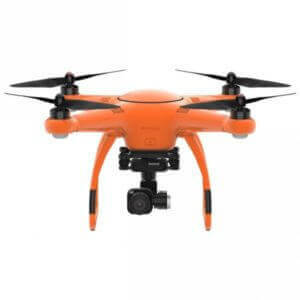 As for the options, the bird has a very accurate altitude hold mode (Altitude hold), which allows you to produce high-quality aerial photography with any camera. In addition, the copter is reliable, it is not afraid of low voltage and high temperatures. Specifications. The last in the list, but not the value of MJX Bugs 3, has other specifications. The device is large, but fast enough for its size. This is due to the powerful brushless motor (1806 1800 kV). The 2s battery (1800 mAh) provides a flight time of up to 15 minutes. The flight range is up to 300 meters. Really good quadcopter. Children like drones very much. For them on the market there is a huge number of toy copters. The development of technology has led to a significant reduction in the price of drones. 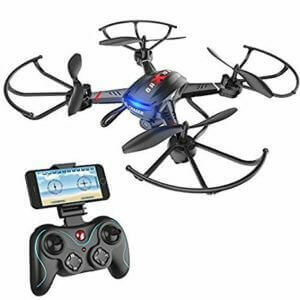 In the market of toy UAVs appeared two quadrocopters, and it is now the best that can be found for children. Consider them carefully. If this is not enough for you, we recommend you to read our review – Best Children Quadrocopters. To spend money wisely is not always possible. Sometimes we are overpaying, giving in to the advertising gimmicks, or because the thing in Vogue. Fortunately, there are still manufacturers who create high-quality products at normal prices. The Altair Aerial definitely belongs to this category, as the new model AA108 is one of the best budget copters. Camera and features. The device comes with a built-in wide-angle HD camera (120 degrees, 720p), which allows you to shoot exciting photos and videos directly from your phone. There is no stabilization, but for such money it is quite expected. Cheap models do not yet have image or hardware stabilization solutions. Altair AA108 has several useful options that allow the most inexperienced beginners to easily control the quadcopter. Specifications. It may seem that this is an unremarkable drone, but it is not. It is made extremely soundly, accidents should not be afraid. All thanks to a very strong frame and quality materials. The package includes two batteries, each of which is enough for 10 minutes of flight with a maximum distance of 100 meters. If you choose a copter for your child, pay attention to Holy Stone F181W. 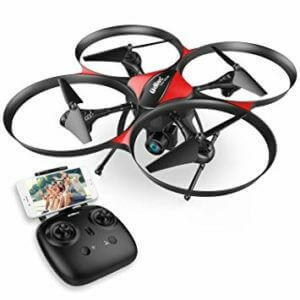 This model has an affordable price, and a set of options will satisfy the young lover of the UAV. Let’s talk about that. Camera and features. First, the Holy Stone F181W has a removable wide angle camera that makes 720p video. Nothing special, but the pleasure of control you get thanks to the support of Wi Fi FPV. You can adjust the speed of the flight, there are modes of automatic detection of “back” and “front” (headless mode), altitude hold (altitude hold) and the ability to take off and sit down with one button. Basic set, but the child of any age will surely be delighted. The remote control looks great. It is made in the style of a console game console plus a small screen. The screen displays a variety of information: speed settings, the level of the received signal, battery charge, led status and balancing modes. Well “obeys” the owner, in this plan there is nothing to worry about. Specifications. In terms of specifications, too, everything is in order. Range-about 100 meters from the remote. Battery 1S is not very powerful (750 mAh), but copes with its task. The charge lasts for about 8 minutes, which at this price is not bad. So we got to the last category. We will focus on professional copters. Needless to say, these models are used in various fields and free people from unnecessary work, as they take it upon themselves. Let’s take a closer look at the best copters 2018 for professionals. Now we will focus on the most expensive of the discussed in this article. This DJI Inspire 2 is an exquisite monster-like drone with a number of unique options. The most famous of them are retractable landing gear and levers that take the camera down. This allows it to rotate 360 degrees and shoot without any interference. And the device looks very cool. Camera and features. Given that the DJI Inspire 2 is a quadrocopter for professional aerial photography, it’s no wonder it’s equipped with the very best camera. There are several options – Zenmuse X4S and X5S, X7. They support the CineCore 2.0 image processing system. Moreover, DJI Inspire 2 shoots video in RAW format with a resolution of 5.2 K and 4K. The latter allows you to get the perfect video at 60 frames per second. As for the options, we will not mention them all, as it is a very large amount of information. Let’s just say it’s one of the most sophisticated UAVs in the world. It offers high-precision satellite navigation, the latest obstacle avoidance SOFTWARE and a variety of autopilot modes. Specifications. Everything is impressive – from the flight range to the battery life. This is not surprising, because we are talking about a very expensive model. DJI Inspire can easily record video for 27 minutes. Thanks to the technology OcuSynk the UAV is able to reach 7 kilometers, which is sufficient for any task. If DJI Inspire 2 is too expensive for you, the following model may be suitable. We’re talking about Yuneec Typhoon H, a powerful hexacopter with a great transmitter and built-in FPV monitor. 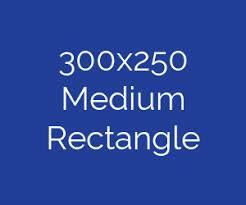 Although it is more often used for photos, not for video, the device is capable of much. You can put a thermal imager on it and use it to solve a variety of tasks. Camera and features. On the other hand, even if you do not need a thermal camera, you will be satisfied with what is included in the package. It is equipped with a three-axis stabilizer and performs its functions well: records video with a resolution of 4K and a frequency of 30 frames per second. You can even shoot in slow motion if you lower the resolution. In terms of options, perhaps the most important is to fly around obstacles. There is a standard mode, which in itself is not bad and with support for Intel RealSense technology. It is simply incomparable, even better than the analog from DJI. In addition, there is the option of real-time image transmission, as well as many others, including the return home (RTH) function and five motor failure protection (failsafe). Specifications. As mentioned above, Yuneec Typhoon H is a hexacopter. In fact, this is the only device in our list. It has a powerful Lipo battery, enough charge for about 25 minutes of flight. A camera with a stabilization system is attached to the drone. If you remove the camera, the bird becomes not only faster, but also flies a few minutes longer. But what’s the point of launching a huge drone without a camera? Maybe to scout something out. It flies about one and a half kilometers from the transmitter, which is enough for industrial purposes. Automatic charging stations – like the management of a fleet of drones, automatic charging stations are more useful for professionals, not Amateurs. The idea of fully automated drones that carry goods themselves and charged a Grand. The last time the automatic recharging a lot of talking. The tests showed promising results. It seems that the appearance of automatic charging stations is only a matter of time. Description of the best quadcopters review 2018 year came to an end. We must admit one thing: there is a huge number of cool drones, each of them is aimed at a certain group of consumers. Thank you for reading, we will try even harder especially for you!